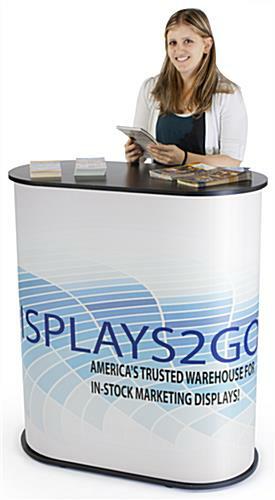 This modular counter for event includes a custom graphic wrap for a totally customizable trade show display. 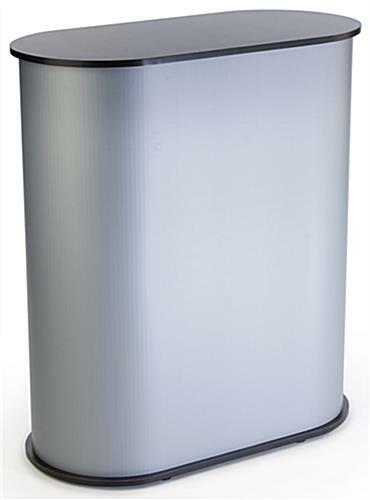 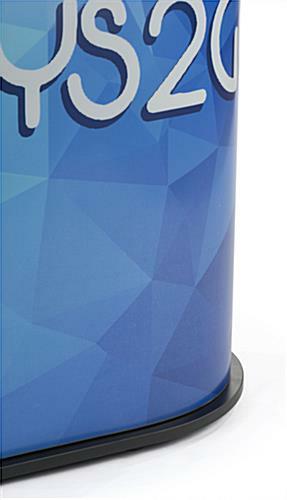 Customers may choose any logos, images, or text to be digitally printed on an adhesive vinyl that attaches to the exterior of the unit with ease. 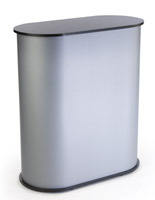 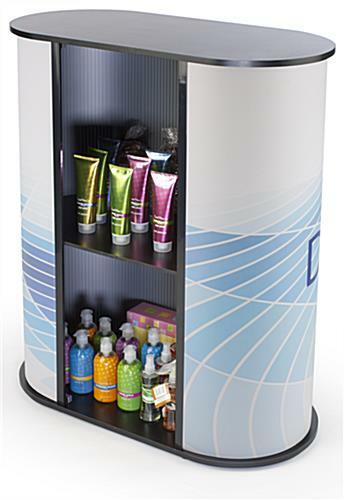 Each exhibition modular counter is designed to be portable and comes with two custom carrying cases. 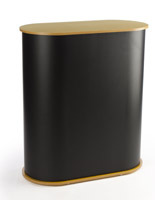 A lightweight plastic façade attaches easily with hook and loop to the stand’s frame, while black MDF panels make up the top and bottom. 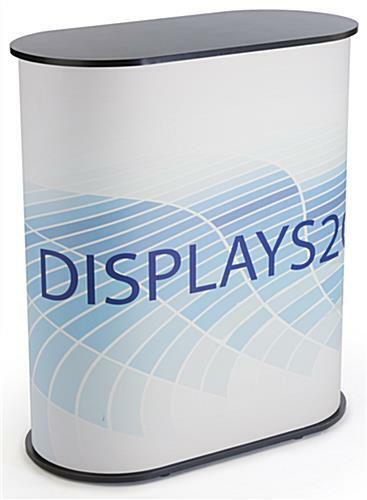 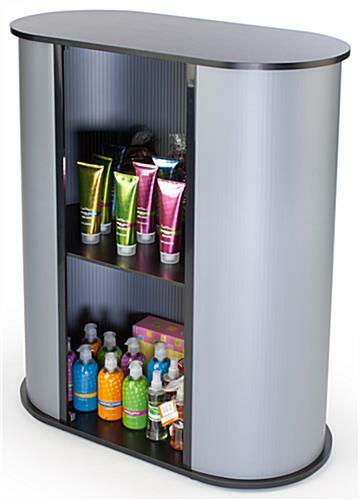 A modular counter is convenient for any trade show or exhibition and also features a hidden shelf for holding additional merchandise or personal items. 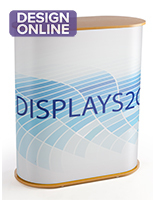 Replacement graphics are also available for each portable display!